Get a load of this cover! One of the very best writers in fantasy these days is Jeffrey Ford. 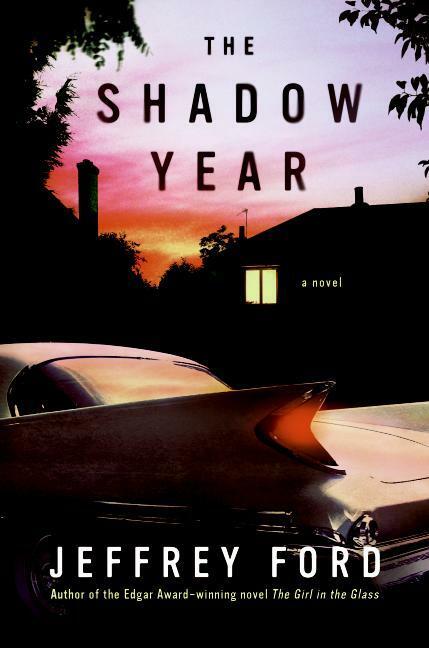 His new novel, The Shadow Year, will be coming out March 11th, and I can hardly wait. It’s based on his World Fantasy Award winning novella “Botch Town.” He told me at World Fantasy he was particularly pleased with the cover, and I can see why. Buy a mastodon and save a creationist museum! You have to love a story like this. 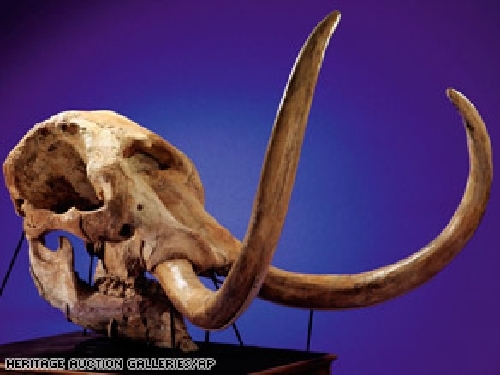 It seems a struggling creationist museum near Lubbock, Texas is strapped for cash in spite of its ideal location in God’s country, and is being forced to auction off its prize mastodon skull. The story from AP makes it sound like mastodons were dinosaurs.Â Tut, tut.Â Mastodons were mammals contemporary with early man. Imagine: Barney Rubble and Fred Flintstone might’ve ridden astride this very beast! Maybe all the sf writers who’ve gotten so much mileage out of the prehistoric over the years might pony up some cash to help save one of God’s roadside attractions. What do you say, Swanwick? I mentioned Naomi Epel’s cool deck of writing advice The Observation Deck the other day, which prompted Dustin Lacina to recommend Brian Eno’s Oblique Strategies deck of creative prompts. It’s available in a nifty Widget, if you happen to be a Mac owner. If you’re not, I’m sorry about the series of bad decision that has led you to that state of affairs. The prompts are little moments from Eno’s creative process. Things like Water or Go Outside and Shut the Door. They work for me. I’ve been like a self-rewarding rodent ever since I installed it. My Sudoku Widget sits idle. I notice that all parts of the creative process aren’t included, only the punchy moments. Things like Get Drunk or Give Up or Start Over didn’t make the final cut. I’m reminded of a time when I was working on Circuit of Heaven and trying to get a handle on Justine, so I had her tarot cards read. Worked like a charm, as they say. I used to do a little tarot reading in Texas, though never for money. Fiction writing is good preparation. It’s a great workout for the unconscious. Unfortunately, people will believe you, so I quit, though I’ll occasionally do a reading for one of my characters if they ask. My favorite Anne Tyler novel is Searching for Caleb, about a card reader who always counsels the same thing: Change! Amen. I’ve been doing what I often do two-thirds of the way through a novel, I’ve been re-structuring it. My most influential writing teacher, Ellington White, used to say often that if a piece of fiction isn’t working, or becomes bogged down, the problem (or solution, depending how you want to look at it) often lies in the structure. The phrase “think architecturally” I’m borrowing from Naomi Epel’s nifty little deck of cards recommended to me by Steve Krause, called The Observation Deck: A Tool Kit For Writers. Each card addresses some writerly advice gleaned from a wide range of writers Epel interviewed. It sounds cheesy, I know, but the idea is to draw a card when stuck or looking for a little inspiration, read the discussion in the accompanying booklet, and take it from there. It rarely tells me anything I don’t know already, but that’s usually the point: You’re forgetting something you already know! So in my case, when I drew this card and remembered Ellington’s advice, a cursory examination of the three threads of the story quickly revealed they were seriously out of proportion with each other, and while one was ladled in great globs, the others were eked out in dribs and drabs. The sequence of events in each needed to be seriously reworked. This led to other discoveries and an end to the logjam. Feeling stuck? Ellington, Naomi, and I recommend having a look at structure. Are you glad the holidays are over? That was the CNN opinion question this morning, and I was surprised to find myself in a 25% minority who said no. I rather enjoyed the holidays. Maybe this is because we didn’t go to any malls or travel or do much of anything but visit with friends and go for a few hikes. 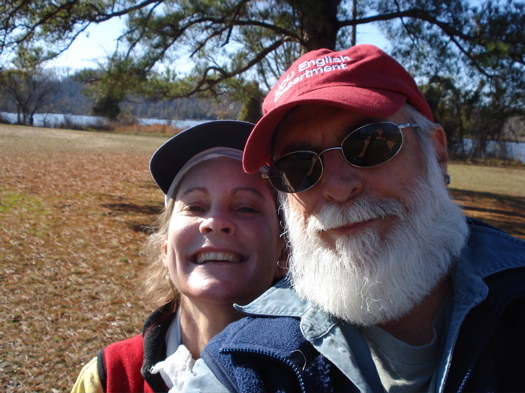 We especially enjoyed an 8-mile out and back at Dutch Gap, even if there is a power plant from Hell there. 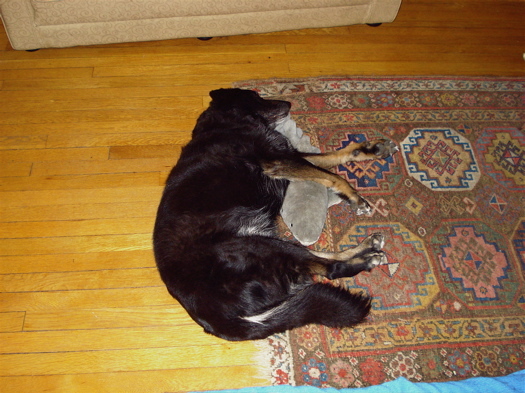 Alice and Sharky were unavailable for comment, but as you can see they had quite the fun New Year’s Eve.